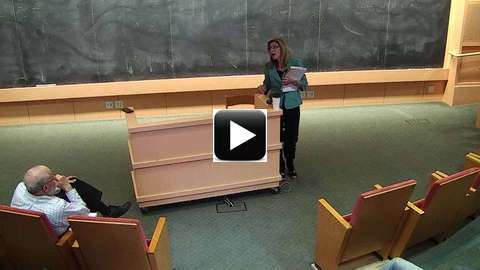 Paula Apsell, WGBH/NOVA & KITP Science Journalist in Residence, Pitch Me! Every life has a story and the life of a scientist more than most. What's your story? What are the science stories you think the public needs to know? How would you tell them? What images would you show and how can you bring the science down to earth so that people with no scientific background can understand what you're trying to communicate? Sit down with Paula Apsell, senior executive producer of NOVA, for a discussion of what makes a good TV science program. Talk about how to make a more effective pitch and who in the TV industry to try to reach. What are the different interests of PBS, National Geographic and Discovery?? A substantial percentage of NOVA's program ideas come from scientists. Your idea may wind up on TV!